We continue our curation of the massive and sometimes overwhelming Amazon catalog this week with another list of products that caught our attention, either for their great discount price, for their great customer ratings, or simply because they are pretty goddamn awesome. Product details after the jump. Stay tuned form some more great roundups. The Hults Bruk works was established in 1697 and has been manufacturing high-quality Swedish ironworks since the beginning. Hults Bruk produces axes for all modern applications, from backpacking to hunting to professional forestry. All axes come with a protective leather sheath. Dont let its size fool you, the Gerber Shard keychain tool is the perfect companion when you want just the basics. With a shape of its own, the Shard has seven useful functions: small flat driver, medium flat driver, cross driver, pry bar, wire stripper, lanyard hole, and bottle opener. 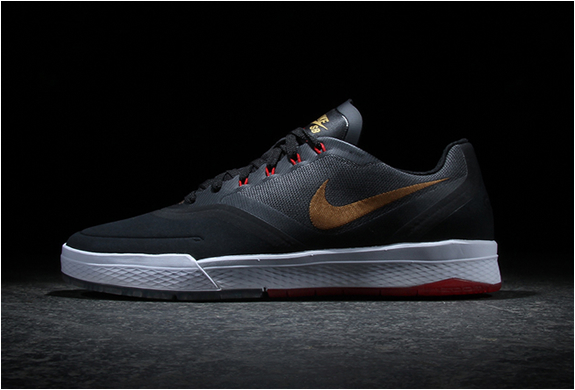 The Nike SB Paul Rodriguez 9 Elite Men’s Skateboarding Shoe is designed with a heel Air-Sole unit in the sockliner as well as four independent Nike Zoom units in the outsole for superior impact protection. 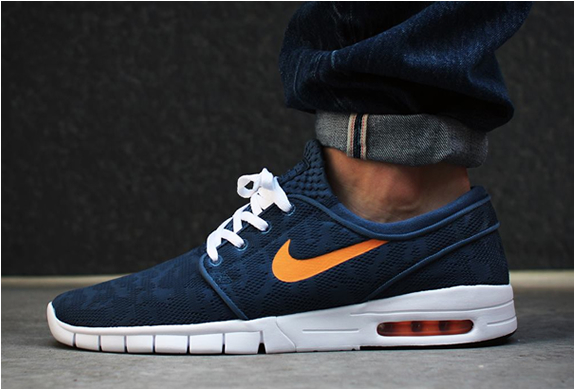 An engineered jacquard upper gives you breathability and a seamless, lightweight feel. The new MIRA Beer Growler keeps your favorite brewskie cold for up to 24 hours! The double walled, vacuum insulated bottle is made with high quality 18/8 stainless steel, is BPA free, and is sealed with an air-tight, screw-on seal on top. With a 64oz capacity, it holds enough drink for a crowd, and its wide mouth makes for easy pouring, drinking, and cleaning. 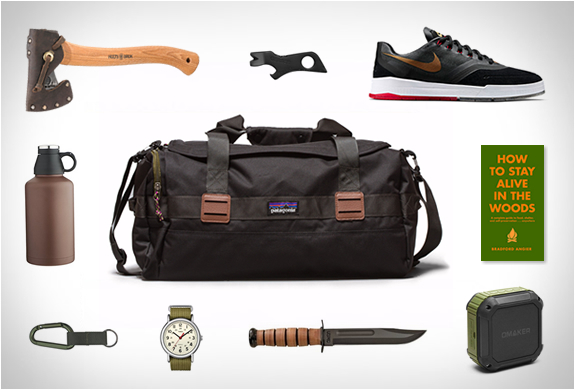 A classic duffel with basic organization that hauls your gear in style and comfort. 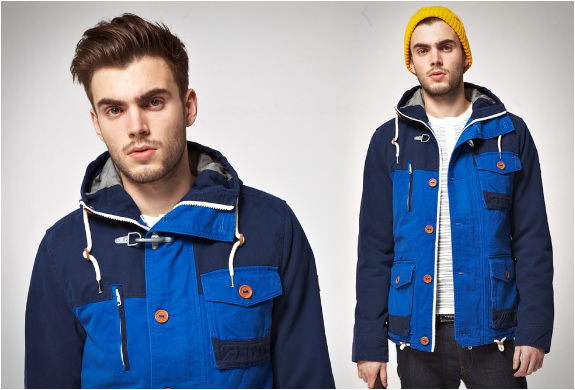 Made from lightweight polyester, it’s got enough space for a week’s worth of provisions, and includes a large padded shoulder strap for pain-free luggage-hauling. A practical, readable-and potentially indispensable-manual for anyone venturing into the great outdoors. Broken down into four essential sections, Sustenance, Warmth, Orientation and Safety, this enlightening guide reveals how to catch game without a gun, what plants to eat (full-color illustrations of these make identification simple), how to build a warm shelter, make clothing, protect yourself and signal for help. A useful and classic EDC item, the Rothco Jumbo Carabiner is a heavy duty 80mm metal carabiner clip with nylon strap and keyring. Clip measures 1.5 x 3. Available in black, green, or woodland camo. 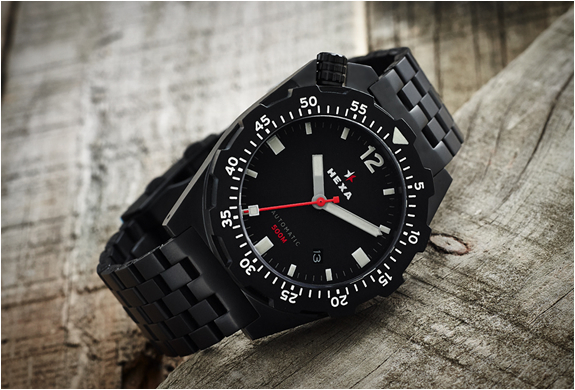 A classic an affordable everyday timepiece for the relaxed lifestyle. The olive colored slip thru strap makes this an ideal accessory for any wardrobe. The 24-hour time and Indiglo night-light make this timepiece truly unique. The dial is protected by a mineral crystal, which covers the luminous hands powered by analog quartz movement. The most famous fixed blade knife in the World - "the KA-BAR" - was designed to serve our troops during World War II and is still doing its job, with honors, 70 years later. Splash proof, shock proof, and dust proof, the Omaker M4 Bluetooth Speaker has an outstanding connection range of up to 33 feet, impressively crystal clear sound quality and robust bass realized through a 3W audio driver and passive subwoofer. It lets you enjoy 12 hours of music, and recharges in just 3 hours.